Following the third Asia Protected Areas Partnership (APAP) Technical Workshop in Bhutan, IUCN Asia had the opportunity to sit down with Minsun Kim, who recently joined the IUCN Asia Regional Office in Bangkok as Programme Officer for Protected Areas. 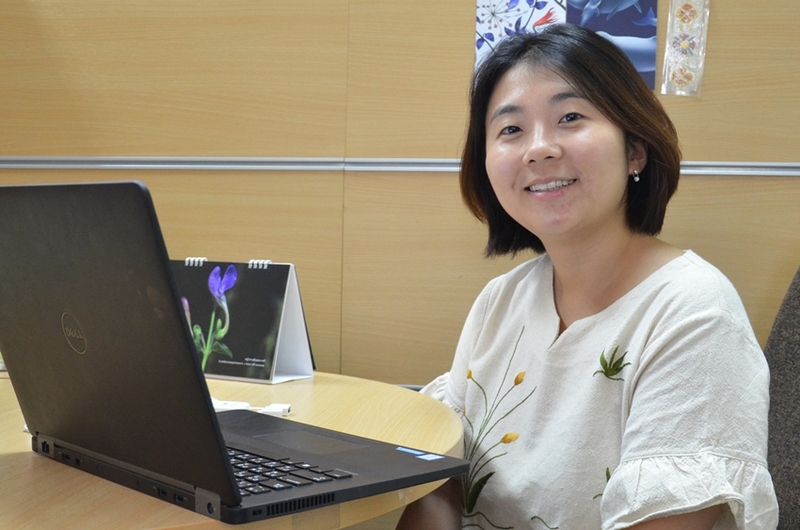 Minsun is on a special secondment from the Korea National Park Service – a proud supporter of APAP – and has a particular responsibility to assist with the development and operation of APAP. Q: What inspired you to work in conservation? A: The inspiration to study conservation came to me at an early age, when I took an interest in studying science in middle school. I studied Life Science as my major in university, and then got into conservation biology. I thought working in the field of nature conservation would be meaningful as well as interesting. I tried to get experience in conservation through my university laboratory, the Natural History Museum, and so on. These experiences led me to the national parks of Korea, where biodiversity conservation is actually practiced in the field. Q: What do protected areas mean to you? A: Protected areas are my work and life. They help me to live my passion. A few days ago, I had the opportunity to visit Khao Yai National Park, Thailand’s first national park and one of the closest to Bangkok. Hiking in the forest and grassland – breathing fresh air and listening to the sounds of wild animals – helped me get rid of the stress of the city. I am really attached to national parks as they help me to relax, refresh, and calm down. I would miss national parks a lot if I am away from them for a long time. That is the reason why I always find time to visit such places, even when I am very busy. Q: Can you tell us about the Korea National Park Friendship Program (KNPFP) and what lessons APAP could learn from it? A: The KNPFP allows overseas park rangers to gain field experience in the management of Korea’s National Parks, and come together to share their knowledge, experience, and skills in protected area management. Through this programme, I realised that most park rangers would like to have the chance to build their capacity. They are willing to share their experience in protected areas management with others as well as understand others’ knowledge. Each Asian protected area is of a different nature and has a different culture and management approach, but all of them have a common goal to conserve protected areas and make a better future. In this sense, I think APAP could develop many opportunities for protected area managers to build their capacity by learning from one another and discussing protected area issues together. 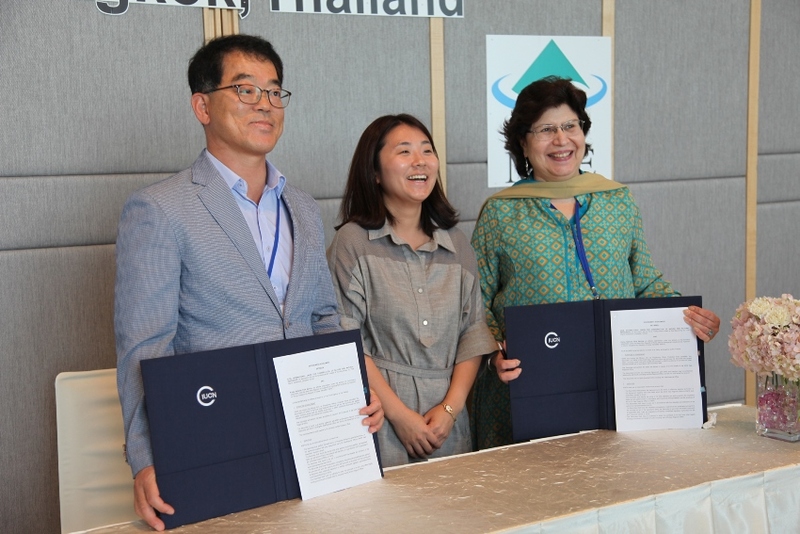 Minsun Kim (centre) with Jong-hee Kim, Director of the KNPS Partnership Department (left) and Aban Marker Kabraji, Regional Director for IUCN Asia (right) at the Third APAP Steering Committee Meeting in August 2017. Q: How do you see yourself contributing to APAP? A: I worked for several years with the KNPFP, cooperated with overseas park agencies, and was involved in the Biosphere Reserves network. I think I could contribute to APAP by creating opportunities for sharing protected area experiences and building closer relationships among APAP members. I hope I can also contribute to making APAP a motivating network, which gives inspiration to APAP members and the world as well. All APAP members have their own strengths in protected area management and if these strengths are shared well, the members will be able to motivate one another to better manage their own protected areas. Ultimately, I hope for APAP members to be role models for the rest of the world.